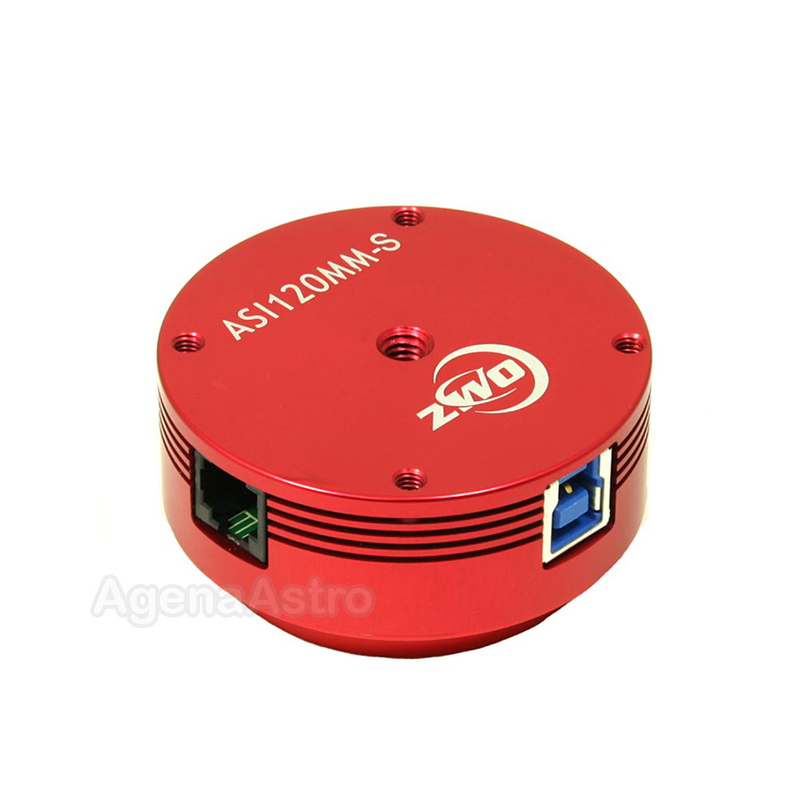 The ZWO ASI120MM-S is a sensitive and affordable monochrome astronomy camera with 1.2 megapixel resolution and super-fast USB 3.0 data transfer. This versatile camera captures images of the Moon, planets, and the Sun (with a proper solar filter), as well as brighter deep-sky objects. 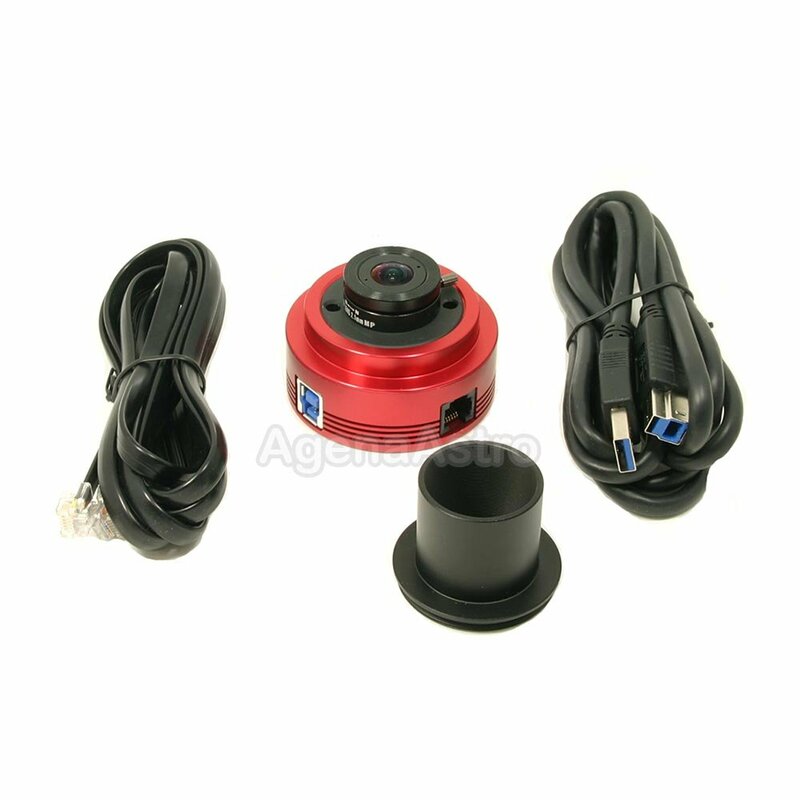 It also includes a wide-angle 150-degree lens that turns the ASI120MM-S into an all-sky camera that captures meteors, aurora, and the slow movement of the stars and planets across the sky during the night. The heart of this monochrome camera is a 1/3" CMOS sensor with 1.2 megapixels (1280x960) with a quantum efficiency (QE) of 75% and no fixed-pattern noise. The pixels are 3.75 μm in size, small enough for imaging solar-system objects but large enough to capture fainter objects such as nebulae, galaxies, and star clusters. The camera enables exposure times of 64 μs to 1000 s (16.67 minutes). 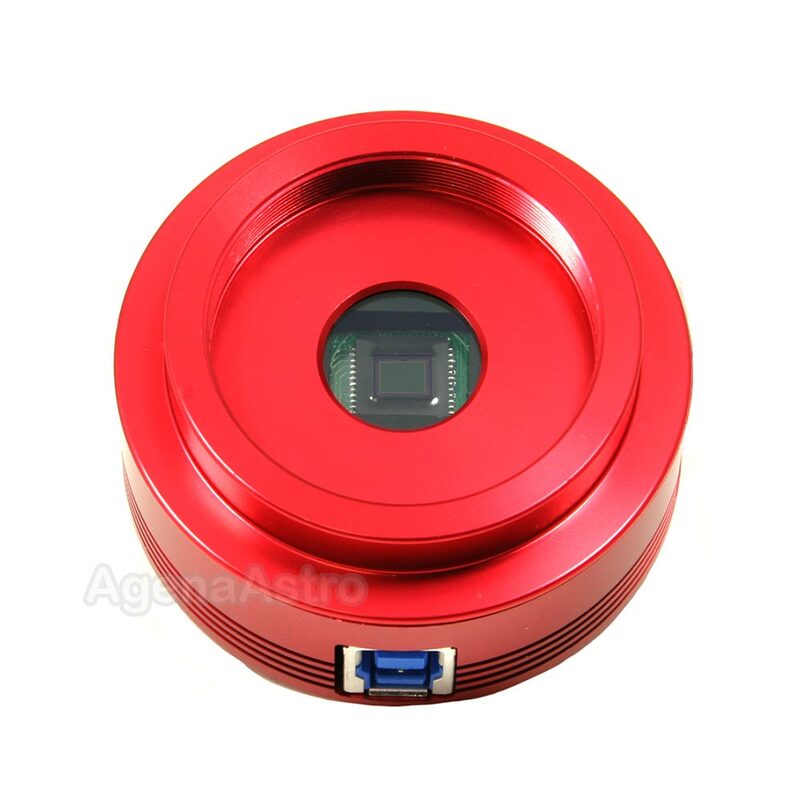 The ASI120MM-S is the USB 3.0 version of the ASI120MM camera from ZWO, a Sky and Telescope Hot Product for 2014 which featured USB 2.0 data transfer. At full resolution of 1280x960, the faster ASI120MM-S can transfer images at 60 fps, twice as fast as USB 2.0. At reduced resolution, download rates up to 254 fps become possible. Such rates make it easier to produce high-quality images of solar system objects, especially quickly-rotating objects like Jupiter and Saturn when taking multiple monochrome images using a filter wheel. The camera also works seamlessly with USB 2.0 ports as necessary. 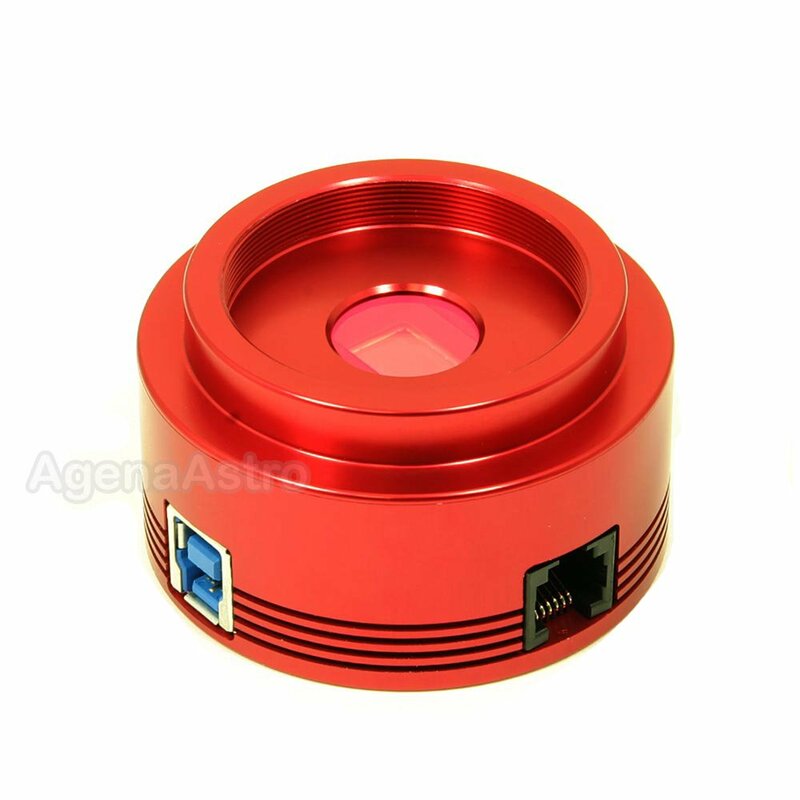 Many cameras in this price range have plastic housings, but the ASI120MM-S has a robust and attractive CNC machined red-anodized aluminum body that stands up to heavy field use. An IR-cut glass window protects the sensor and helps keep images sharp. 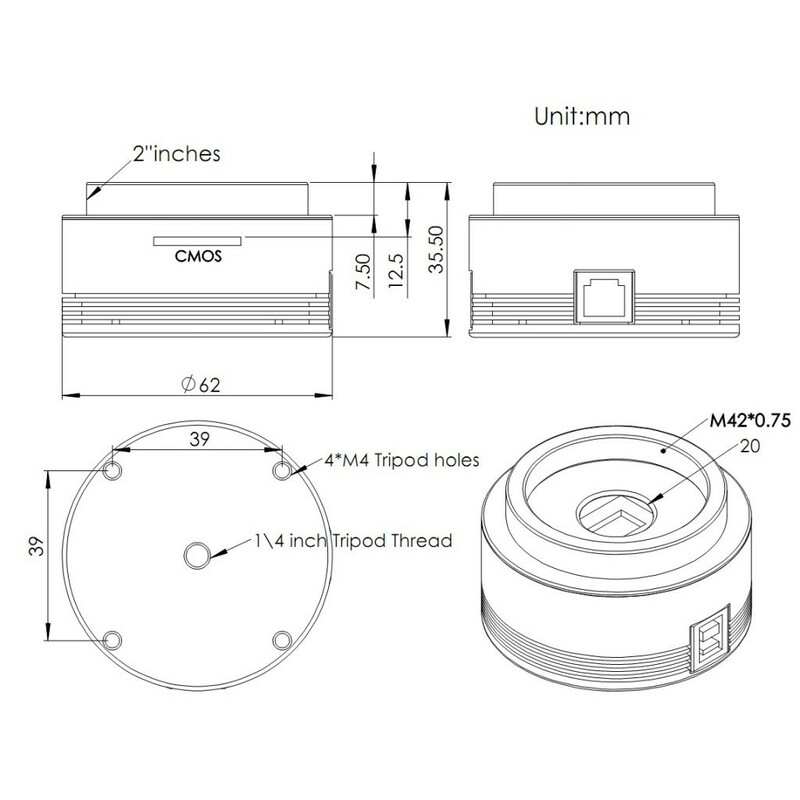 A 1/4-20 thread in the bottom of the camera makes it easy to attach the device to a camera tripod or mount, and four M4 threads along the outside edge offer additional mounting options. The camera also comes with a 2-meter USB 3.0 cable and a 2-meter ST4 guider cable for use in autoguiding, as well as a M42-threaded 1.25" nosepiece and a 1.25" cover. 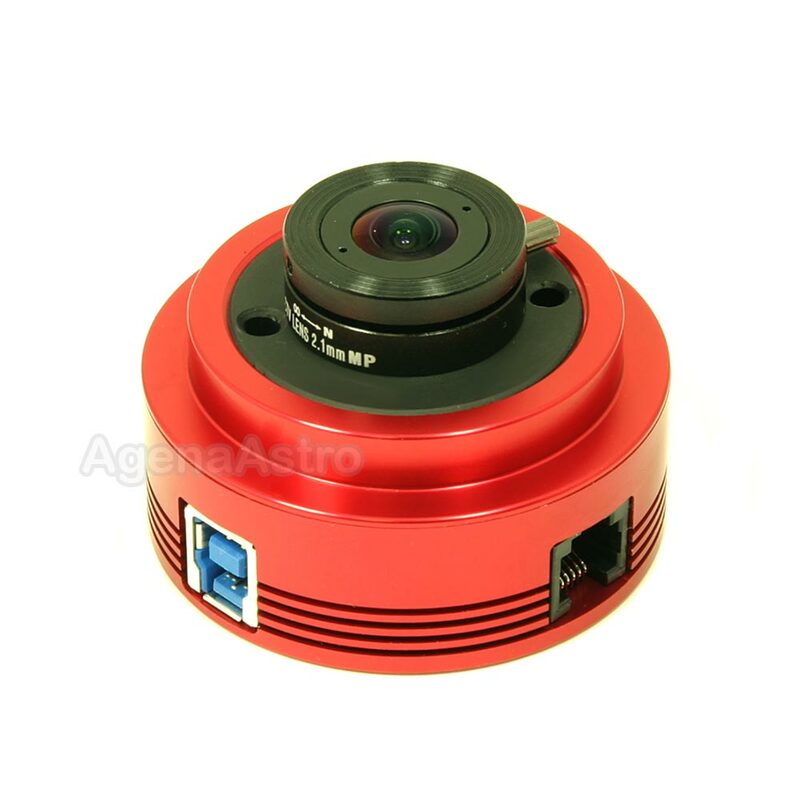 ZWO is phasing out software CDs, but the ASI120MM-S astronomy camera comes with instructions to help you download the required control software and drivers directly from the ZWO website. *Tested under USB3.0 port without overclocking. There is an option to overclock 30% of the current fps.